Jerusalem Ropes Course in Park Gilo can be booked for your private group or family. Are your kids climbing the walls at home or in the hotel? Then let Challenge Tours take them rappelling down…call Yaakov. Challenge tours can offer unique “chavayot” (experiences) in Jerusalem. Rappel off a cliff in the Valley Ben Hinom as you watch the walls of the Old City. Yaakov Goory is Israel’s Rock Climbing Champion of 2011 and he knows how to make the experience enjoyable for a variety of ages. great activity for the family when you come to Israel. the best place to do it is park gilo in Jerusalem 5 min from malcha 12 min from the hotels. 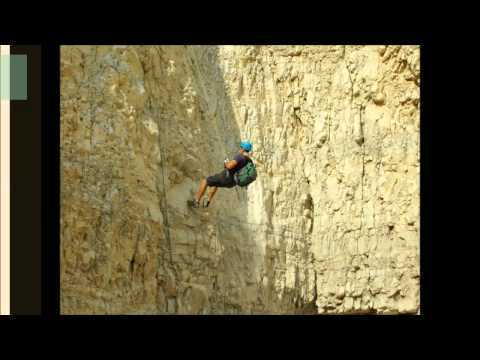 Rappelling (known as snappling in Israel). Learn to climb down a cliff using ropes and then to rock climb back up (Ages 4+). This is a great family activity and it takes 2 hours. A fun group activity, which includes different types of competitions. Do you think you got what it takes? to shoot with guns in israel. to feel in the army.